This essay on new-era Dungeon Fam was posted on Rhapsody.com’s Music Stuff Place on July 7. I wrote it for my Rap Is Not Pop column. Prince once sang, “All The Critics Love You In New York,” mock-celebrating the rock-crit establishment’s hive mentality. I think the bees are nesting over Big Boi’s Sir Lucious Left Foot: Son Of Chico Dusty, much as they did with Raekwon’s Only Built 4 Cuban Linx 2… Sir Lucious Left Foot is a fine album, of course, but I don’t think it’s the unqualified success that many others seem it is. Everyone’s entitled to their opinion, of course. But is it an opinion, or just bandwagon-eering? Or let me put it this way, since everyone’s so fond of Metacritic-styled ratings. Do I think it’s worth a 90, or a 9.2? No. But who knows? Maybe I’m just a contrarian that isn’t convinced of Sir Lucious Left Foot’s greatness yet. Unfortunately, I didn’t delve into any of those issues in this essay. The concept I explored — how the Dungeon Family ethos survives, even with OutKast largely missing from scene — is a decent one, but I was frustrated by my lack of dense analysis for Big Boi’s long-delayed album. (I have a relatively strict 1000-word count for my column.) Next week’s edition will be devoted entirely to the Roots’ How I Got Over. No conceptual gimmicks. You’re forgiven for believing that Big Boi’s debut album, Sir Lucious Left Foot: Son of Chico Dusty would never be released. 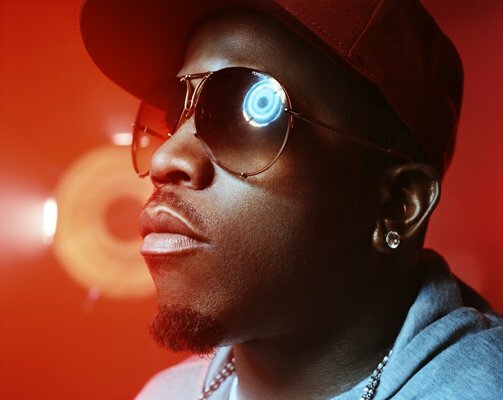 Since Big Boi announced the project in late 2006, it has endured numerous recording sessions, several failed teaser singles, and even a label switch, from Jive (onetime home of OutKast) to Def Jam. In retrospect, four years doesn’t seem like a long wait, especially when judged against a graveyard of shelved, infinitely delayed, and/or simply lost rap epics, from Dr. Dre’s decade-in-the-making Detox to Black Star’s rumored second album. Sir Lucious Left Foot is symptomatic of the Dungeon Family these days: embattled, perhaps a far cry from its glory years, yet resolute. The famed collective, once centered on groundbreaking music from OutKast, Goodie Mob, and production crew Organized Noize, no longer exists as a functioning unit, at least in not any real sense, beyond one-off reunions and retrospective magazine articles. Its legacy endures, however, from the triumphant debut of Janelle Monae’s The ArchAndroid to Andre 3000’s fanciful remake of the Beatles’ “All Together Now” for a Nike commercial that aired frequently during the 2010 NBA Playoffs. Idlewild should have been OutKast’s version of Fleetwood Mac’s Tusk – a glorious bloated musical starring gold-grilled D-boys, funk-rock bohemians and Atlanta University Center buppies. (Check out the Morris Brown marching band on “Morris Brown.”) But a niggling atmosphere of exhaustion sucked the life out of the party, from the duo’s insistence on not rapping together, an unfolding “Hollywood Divorce,” to Andre 3000’s visible annoyance with the limits of superstardom. Like most OutKast albums, Idlewild ends with a meandering Funkadelic-style jam, but “A Bad Note” sounded gloriously prickly and recalcitrant. “You can’t fumble a chord when melody is a thousand light years away,” sang Andre 3000. It was a celebration of nothingness, pushing imagination to its breaking point, then presenting the shards as a kind of anti-feast. To their credit, none of the Dungeon Family has looked back, even if their solo work hearkens to the glory years of OutKast’s Aquemini and Goodie Mob’s Soul Food. Last year, Khujo Goodie teamed with Jneiro Jarel for Willie Isz’s Georgiavania. Khujo, who possesses a country drawl and a prickly intelligence, may be the most underrated rapper in the camp. Paired with Jneiro Jarel’s futuristic beat tributes to Cocteau Twins and TV on the Radio, Khujo embarked on a widely unappreciated adventure into dirty South Gothicism. If Khujo Goodie was criminally slept on, then Goodie Mob’s Cee-Lo suffered from overexposure. Forming Gnarls Barkley with producer Danger Mouse, he recorded “Crazy,” one of the past decade’s most memorable hits. It was so big, in fact, that the public ignored the duo’s follow-up album, 2008’s The Odd Couple. It seems that people had already tired of their ecstatic retro-soul like last year’s Christmas toy. Cee-Lo is finishing a solo album set for release this fall, and it’s anyone guess how it will sound, or how it will be received. Meanwhile, Andre 3000, Dungeon Family’s undisputed shining light, wanders the musical wilderness. His hit-and-run guest spots, from his reunion with Big Boi on UGK’s instant classic “Int’l Players Anthem” to outstanding verses for Jay-Z’s “30 Something,” Devin the Dude’s “What A Job” and, most recently, Ciara’s “Ridin’” remix, only increases our longing for a real Andre 3000 experience – an album, an actual song, anything. Perhaps that explains why his fun Beatles cover feels more substantive than it actually is. If this sounds like a plea for OutKast to return to us, then so be it. Monae’s The ArchAndroid and Big Boi’s Sir Lucious Left Foot don’t equal Aquemini, but they’re more than adequate consolation prizes. Sir Lucious Left Foot could even be interpreted as a sequel to the first disc of OutKast’s Speakerboxxx/The Love Below. But Big Boi’s musical sensibility isn’t as finely tuned, and he offers some real duds, including the bland “hustler’s” anthem “Hustle Blood” (with Jamie Foxx) and the thin pop-punk of “Follow Us” (with Gym Class Heroes wannabes Vonnegutt), alongside winners such as “Shutterbugg” and “Shine Blockas.” Worse, excellent OutKast reunion cuts such as “Royal Flush,” and a duet with Mary J. Blige, “Something’s Gotta Give,” have been excised, the result of sour grapes from Jive Records when Big Boi successfully moved his project over to Def Jam. We can only wonder what Sir Lucious Left Foot would have sounded like if it had been released as Big Boi intended. To his credit, he doesn’t indulge in nostalgia, even as he asserts his continued relevance. “You can’t destroy what we done built,” he raps on the operatic “General Patton.” There’s no use trying; Dungeon Family is embedded in our culture now. This entry was posted in News and tagged Andre 3000, Big Boi, Cee-Lo, Dirty South, Dungeon Family, Janelle Monae, Khujo Goodie, mainstream rap, OutKast, rap is not pop, Willie Isz. Bookmark the permalink.